This long awaited biography of Harold Rugg is a dramatic, compelling story with profound implications for today’s educators. 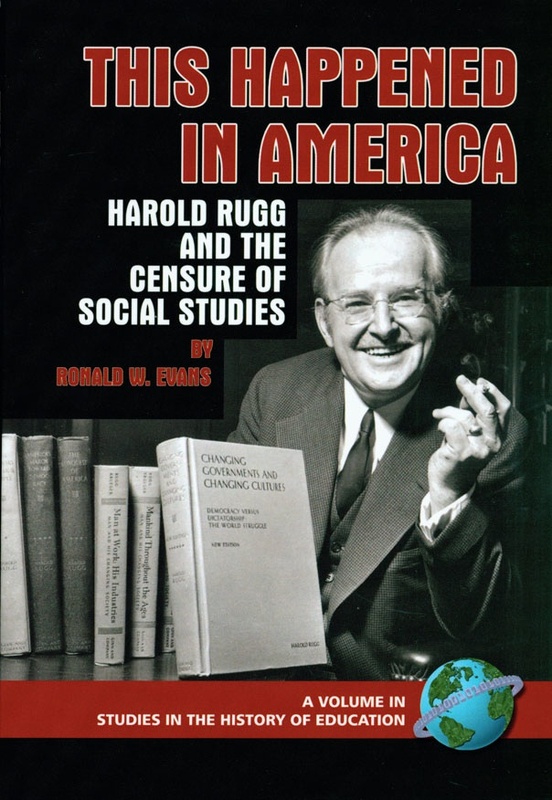 Harold Rugg, one of the leading progressive educators of the 20th century, developed an innovative social studies program and textbook series that was censured by conservative critics during the 1940s. Get the full story behind Rugg, the man and the educator, and the critics who attacked him. Harold O. Rugg was professor at Teachers College, Columbia University, and a key leader among the social frontier group that emerged in the 1930s to argue that schools should play a stronger role in helping to reconstruct society. He was author of a best selling social studies textbook series which came under attack from patriotic and business groups in the early years of World War II. The story of his rise and fall encapsulates a pivotal episode in the history of American education and reveals a great deal about the direction of schooling in American life, the many roads not taken, and possibilities for the future. This in-depth examination of Rugg’s life and career provides historical perspective on the recurring struggles over education. It will be of interest to every citizen concerned about the future of our democracy. “This Happened in America is an immensely engaging, thoroughly researched, and well-written intellectual biography of one of America’s leading progressive educators. Evans’ narrative of Rugg’s committed struggle to reconstruct the social studies curriculum into an interdisciplinary focus on major controversial issues contributes not only to the study of American education but captures the great ideological conflicts between conservatives and progressives in American democracy. ∼ William Ayers, Distinguished Professor of Education, University of Illinois, Chicago.